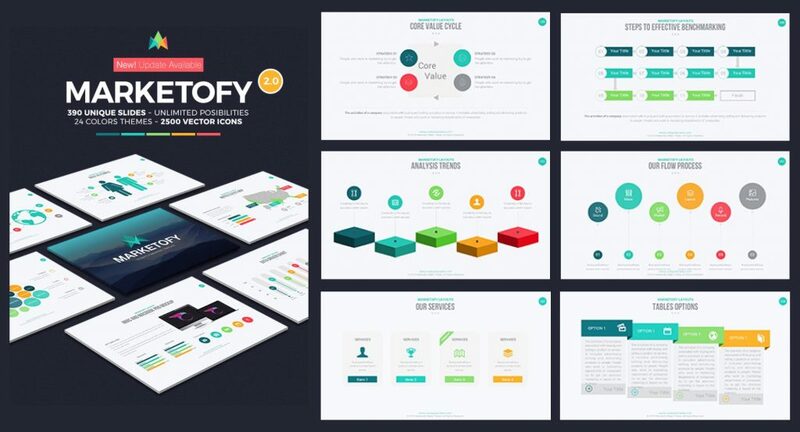 This is the ultimate guide to making KILLER sales presentations. So if you want more sales, you’re going to love the actionable tips, strategies and examples in this infographic and guide. Use them to prepare, structure and deliver solid sales presentations that bring you more business, step-by-step. 😈 Part 0. The #1 Thing You Must Remember. If there’s one thing you should takeaway from this article, it’s this one. This is the mindset behind selling. Start here, it’ll only take you 20 seconds to read (Yes, I counted). 🤟 Part 1. The Anatomy of a Perfect Sales Presentation. In this infographic, you’ll learn the 7 ingredients you need to plan and structure the perfect sales presentation, from start to finish..
🤩 Part 2. 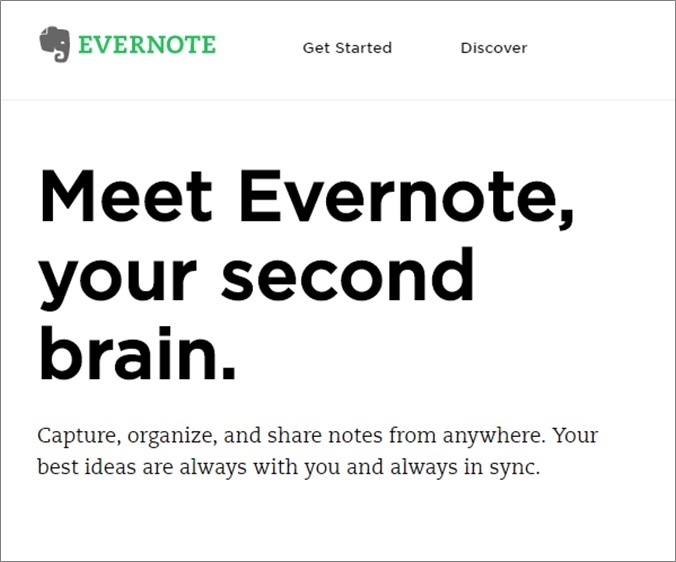 How to Design High Impact Presentations. When you have no time, no budget and no special design talent. 🧐 Part 3. In-Deep Strategies. These are meeting-room tested techniques, action steps and (real world) examples you can swipe in your own presentations. I recommend you to start with the infographic, and then move on to this part. 🤔 Part 4. Q&A. How long should your sales deck be? How do you structure/prepare/design/end a presentation? Here are the most common questions business professionals are asking themselves, answered. This is the best sales advice you’ll hear today. Your prospects don’t care about you. They care about themselves. And they care about what you can do for them in order to solve their problems. A sales presentation is a persuasive demonstration to prospective buyers in order to make a sale. And the key to making persuasive sales presentations is to demonstrate that your offering, either a product or a service, will help your prospects get more of what they want. This infographic will walk you through the 7 components of successful sales presentations. I advise you to read the infographic first, and then move on to the detailed strategies later in this guide. Easy-to-edit, designer-made templates allow non-designers to create beautiful, professional-looking presentations. Present clean slides that grab – and keep – people’s attention (adios text-heavy, 90’s clipart slides that put everyone to sleep). Confidently expressing ideas, concepts and messages with visual elements. Because, yes, you know that those who use visual aids are 43% more persuasive than those who don’t. 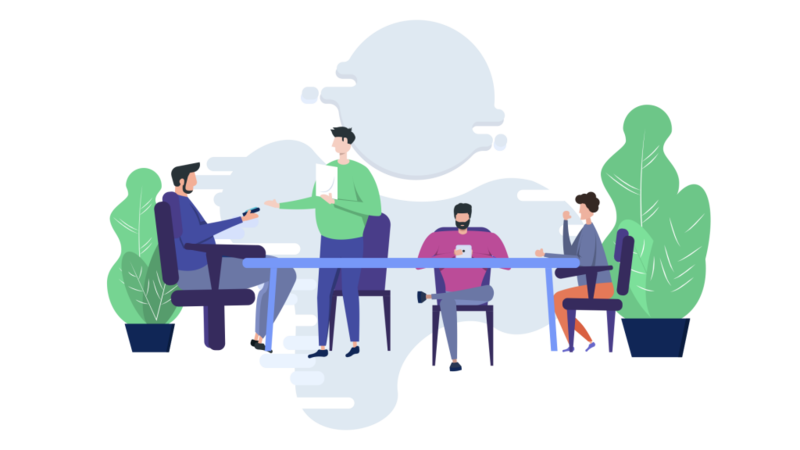 With pre-built templates, you get your hands on a massive stash of fully editable resources – slides, icons, graphics, timelines, maps and so on – to build result-getting presentations. At a fraction of the time it takes to others. And the good news is, these PowerPoint templates cost as little as the price of a movie ticket. So if you’ve been looking to create winning sales presentations (because you know that’s what will set you apart from everyone else), then check out my two favorite templates below, and start saving time so you can focus on things that really matter to you. Massive X’s illustrations are made out of multiple, individual elements that are then put together. These are the exact graphics I’ve used to illustrate the different sections of this guide. Use them to jazz up your sales deck slides and get your point across more effectively. In this chapter, I’ll break down in small chunks the 7 components of successful sales decks. This section includes concrete steps, practical strategies, techniques, scripts and examples to help you prepare and structure your sales decks for maximum impact. Think of your cover slide as the packaging of a product. Studies suggested that the packaging design elements have an influence on choosing, getting attracted, like, purchase the product and considering packaging as a brand promotion vehicle. 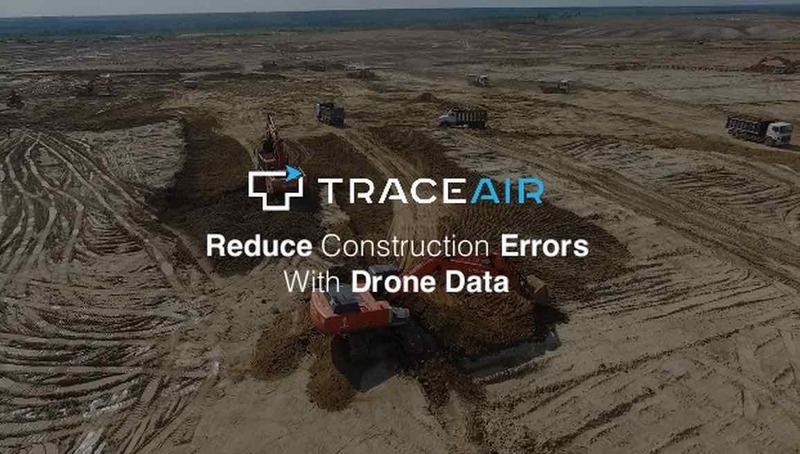 First, what product/service do my company offer? Then, what tangible element can I associate my offering to? Now, head over to Pexels or another awesome free stock photo website. Select a few pictures that closely relate to the identified keyword. If you can’t chose between your options, ask 2-3 colleagues which one they prefer, and go for the most popular option. Done. Helping Plastic Surgeons Get More Patients With SEO. 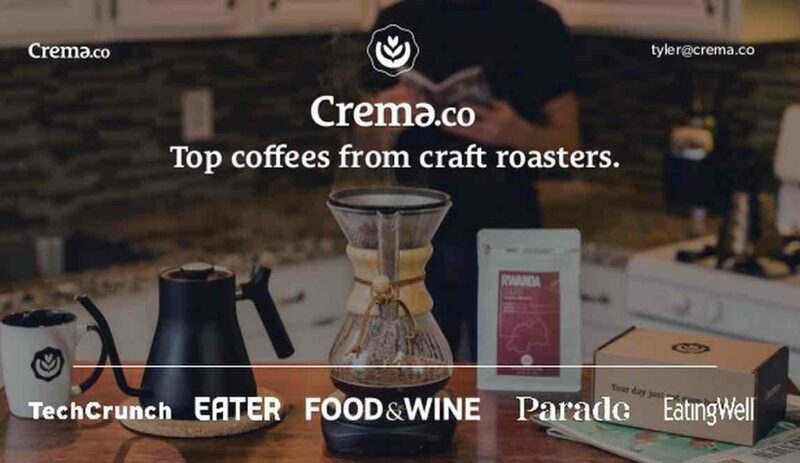 Helping F&B Businesses Getting More Customers With Social Media. Amazing Events People Will Remember ! Video solutions for every type of business. Wista. Get, keep and grow more customers. Kissmetrics. 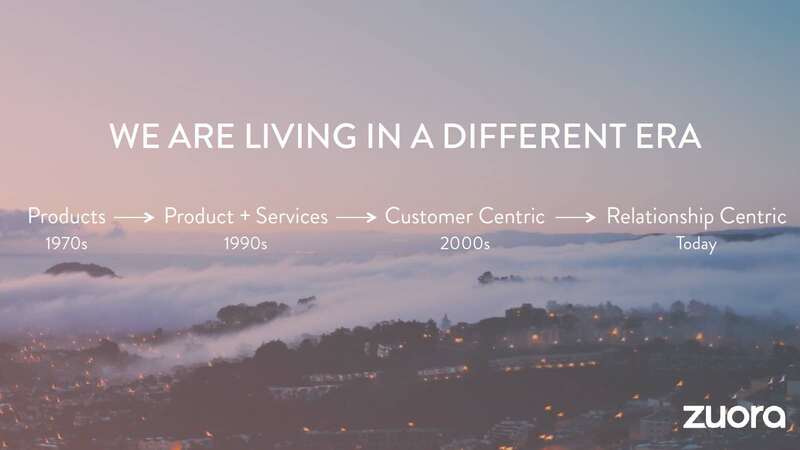 ⚡Bottom line: Great cover slides make it crystal clear what it’s all about. It’s a no brainer. So… what is your company doing? Tells the ideal customer why they should buy from you and not from the competition (unique differentiation)”. 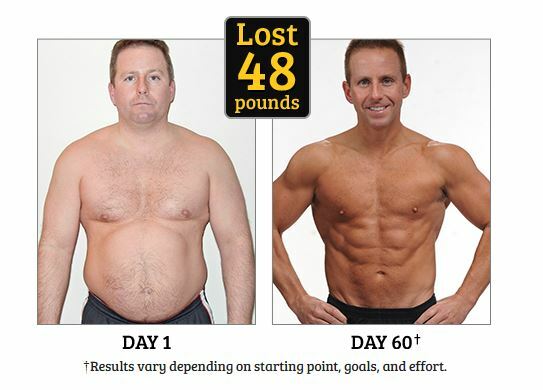 Get six pack abs in 3 months, even if you’ve never worked out before. Flood your inbox with job offers, even if you have zero network. Build landing pages fast, get more conversions. Unbounce. ⚡ Tweet This Sales Presentation Building Tip ! Stories create “sticky” memories by attaching emotions to things that happen. As a result, effective stories capture and hold our attention. They also help us learn and connect us with strangers. 🤬Conflict. Conflict is basically our expectation vs. the cold reality. The conflict is here to let your audience know why they should care about the characters in your story. In the case of a sales presentation, characters could be clients you’ve worked with, and the conflict could be between what your clients couldn’t do before using your product… and what they can do now. 🕺Climax. In order to present a good narrative, you should develop the problem and the characters who are bound up in it. What are your target customers struggling with? You must understand their exact hopes and pains. 😘Resolution. The character solves the main problem/conflict or someone (aka you, the company) solves it for him or her. Resolution: policies that should be in place + how people in other areas are mitigating the effects of climate change on local resources. Source. 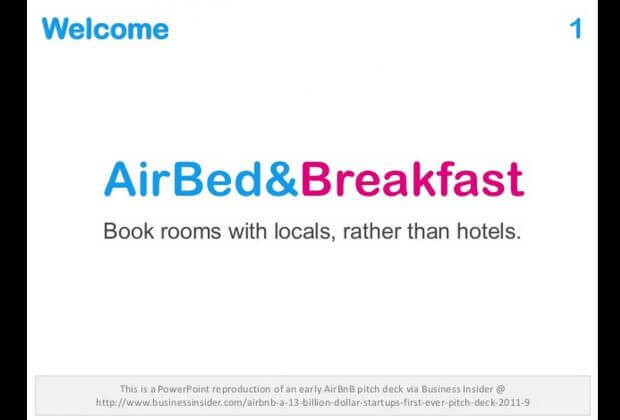 If you take a close look at Airbnb’s first pitch deck , there’s clearly a conflict between what the market is offering (standard hotels that leave you disconnected from the local culture) and what people are willing to do (book a room through a local host, become one, find cheaper, authentic accommodations). According to psychology professor Robert Cialdini, we prefer to say yes to those we know and like. We like those who are similar to us, give us complements, and cooperate with us toward common goals. So how do you apply that when it comes to talking about YOU…. Well, you need to get personal. And of course, help your customers feel connected to you. To do that, appear vulnerable. Emphasize on the stories of your team members. Talk about what they like, what they don’t. You can even mention their hobbies or favorite foods for instance (yes, really) in order to appear human. Health, Chip and Dan. 2010. Made to Stick. A solid book that teaches you how to better communicate ideas, on the basic of the S.U.C.C.E.S. framework: in order to make an idea sticky, it has to be simple, unexpected, concrete, credible, emotional, and tell a story. Freytag’s pyramid. German novelist saw common patterns in the plots of stories and novels and developed a diagram to analyze them. See this quick example of Freytag’s principles applied to the movie TAKEN. University of Berkeley. Robert Cialdini’s Principles of Persuasion. How do I like to present my company to people who don’t know us? ✅ Why do you want to help your target customers? 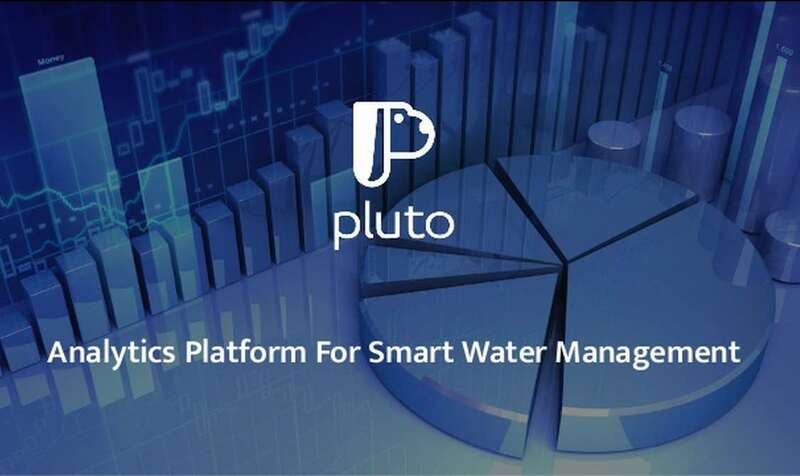 ✅ How did you get involved in this industry/project? ✅ How did you come up with your product/service? ✅ What problem are you trying to solve? ✅ What questions do customers get to ask you all the time? ✅ Why are you passionate about your work? Don’t kick off your pitch talking about anything that’s related to yourself. Instead, start with giving context. Your products and services are nothing more than a tool that enables your prospects to achieve their dreams. So here’s the thing: your goal here is to HELP them visualize what it would feel like if he could fulfill all his dreams. “When you highlight a shift in the world, you get prospects to open up about how that shift affects them, how it scares them, and where they see opportunities. Most importantly, you grab their attention”. 95% of our purchase decision making takes place in the subconscious mind. If you want to have emotional resonance with your prospect, you must show him you understand with pains and problems. 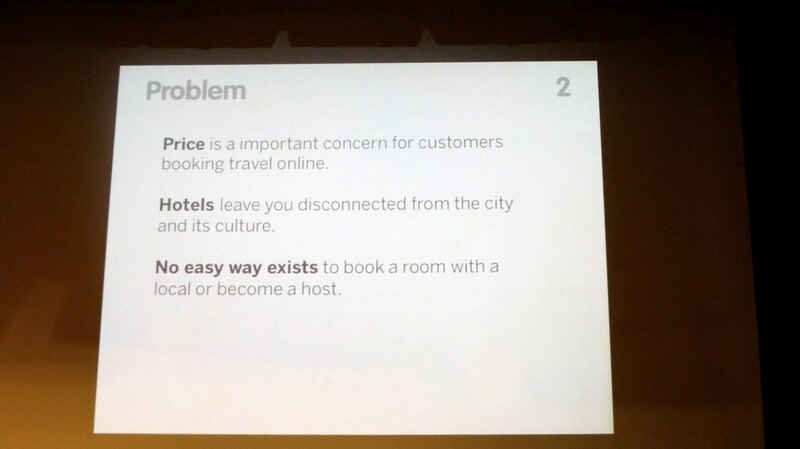 If you recall Airbnb’s first pitch deck example, you understand that the start up had deeply identified the pain points of its market before offering solutions that made sense. ✅ What are their pain points? What do they struggle with? (i.e. flat sales, low online visibility, etc). ✅ How does the “Promised land” looks like for them? Now, you’re going to demonstrate how your solution will help the prospect get rid of his problems and fulfill his dreams. Your single focus here will be to give out information that benefits to them. 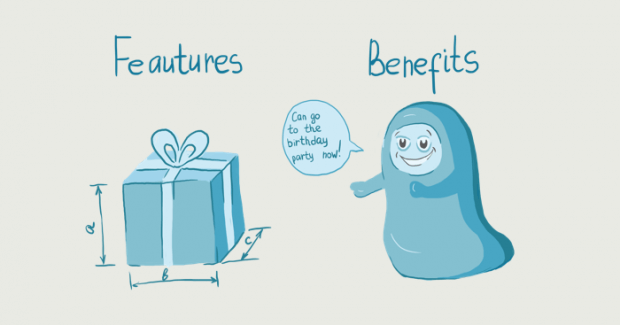 You see, customers buy because they want benefits (and the results that come with them). For that reason, they don’t give a crap about your features unless it helps them understand how it gets them results they care about. 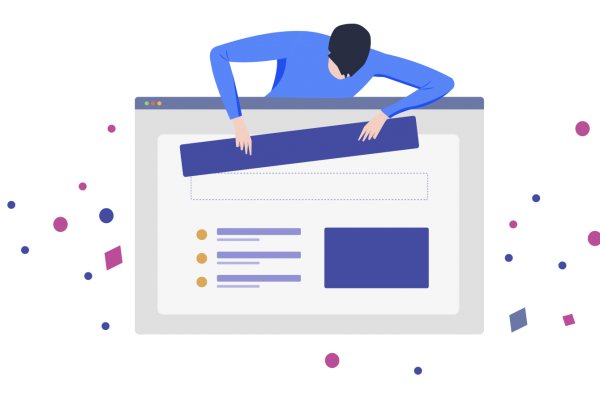 Benefits = we help you identify where your website is leaking money, create optimized treatments and run optimization tests in order to help you increase your revenue. 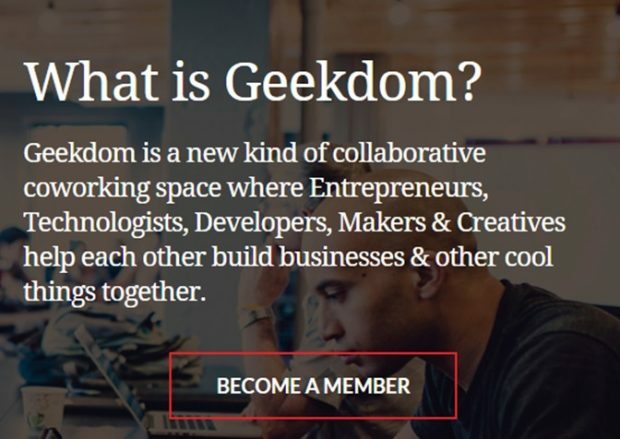 [Company] helps you with [product name, feature, deliverable] so you can [benefit]. Let’s take a look at a concrete example below. 3) Linking it. We provide you 12 step-by-step videos that will show you do-it-at-home bodyweight exercises [ so you can ] build muscle without spending money on an expensive gym membership. Of course, every sales rep under the sun says their company offers amazing products. But for most prospects, you’re just another sleazy sales dude trying to push products or services that won’t provide any value to them. Your goal as a presenter is to help them overcome their objections: your sales deck must demonstrate that you are able to get your customers the results you claim. The best way to do it? Educate your customers (instead of “selling” them). In other words, convey information that benefits to them. ✅ Expert quotes: what your industry key influencers have to say about <your industry>, <trends>, <products>, <you>. ✅ Research data: check out .edu websites, magazines and research journals that release data, insights angled toward the market you are serving. Use the following search strings on Google: site: .edu + <keyword> or intitle: research journal + <keyword>. ✅ Competitor analysis: in which specific aspect of your business are you better than your competition? Process, service, quality, price, support, results? Find data that makes your product/service better than your competitor. You could make a table listing yours vs. your competitor’s key features and benefits in order to show how you are better than them. Case studies are a unique angle you can use to educate your prospects and show them what they can be, thanks to your product/service. 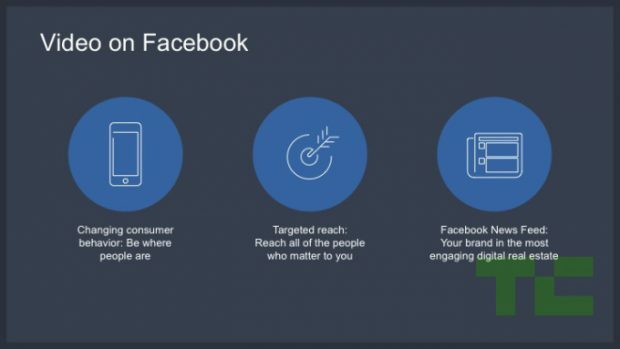 Two Reach Blocks guaranteed that the ads reached the entire Saudi Facebook audience that logged in that day. 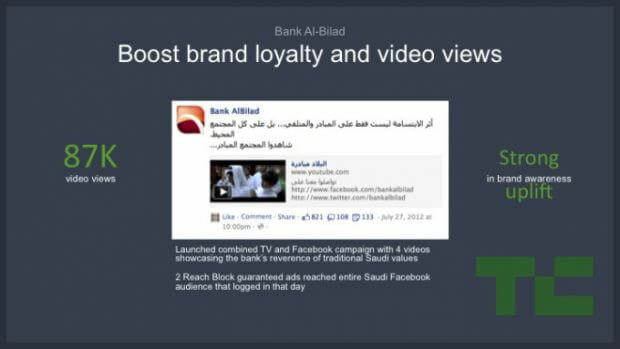 Strong uplift in brand awareness generated by Facebook campaign as found through Bank Albilad’s own internal study. Mohammed R. Abaalkheil, Head of Marcom Division, Bank Albilad”. There are 5 major categories of objections: need / price / product / source / time. According to Nielsen, testimonials & word of mouth are the driving force behind 20 to 50% of all purchasing decisions. Which changes have you noticed since working with me? What specifically did you like the best about working together? How have you benefited from hiring our company? Would you recommend my company o a colleague or a friend? If so, why? ⚡Bottom line: educate your customers, don’t sell them. Get them to say “Wow! I didn’t know that”. Incorporable rock-solid customer testimonials, research-backed data in order to teach them something they may not have known. That’ll get them to believe it for themselves, and create trust. You can’t reasonably want to “close a $150,000 deal in the meeting room today if it’s the first time you’re discussing with the prospect. In other words, make sure you call-to-action is aligned with the situation. If it’s the first time you’re meeting the prospect, you could target to agree to set up the date for the 2nd meeting. If you’re negotiating a contract, you could get the prospect to agree getting back to you with their feedback within 2 weeks. Q&A. Your Most Frequent Questions, Answered. Here are the most common questions business people ask themselves when it comes to making better sales presentations. ⚡ What Are the Objectives of a Sales Presentation? 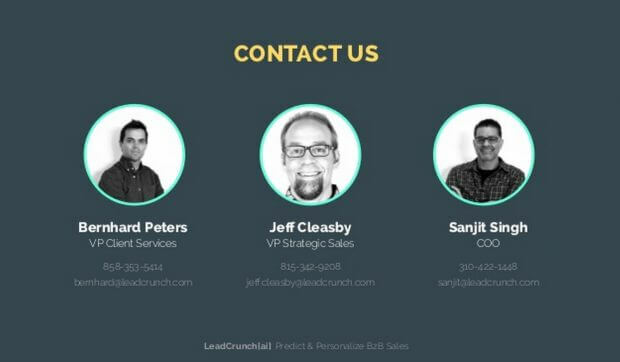 What is your (realistic) goal for this sales presentation? You can either be looking to inform, educate or persuade your prospects and clients. And the answer will depend on the level of relationship you’ve established with them (If it’s the first time you meet, “closing the sale” might not be the appropriate answer). Understand X, Y and Z aspects of the prospect’s business in order to draft a proposal that’s relevant to his expectations. Introduce a new growth opportunity we’ve identified for [company] and get their feedback on it. Build a relationship with a new prospect (so two years from now he wants to purchase from us). ⚡ How Should I Prepare My Pitch Presentation? There’s nothing more frustrating for a potential customer than having a meeting with a sleazy dude who has no clue about who he’s dealing with. Prospects want to know whether you can help them get more of what they want. Who are your target customers, specifically? What are their hopes, fears and dreams? How much do they know about the solution what you’re trying to sell them? Is their market share growing, steady or declining? 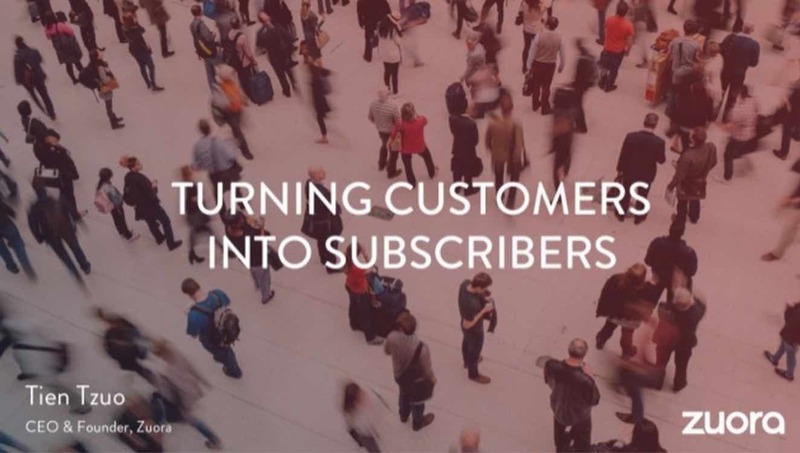 Which channels do they use to use to reach, acquire and retain their customers? 1) Know What You are Selling What does your company sell exactly? How does your product/service benefit your target customer? 2) Know Your Competition Who are your top 3 competitors? Have you learnt from their operations/marketings? What makes you different – and better – than them? Do you know the booming trends in your industry? What opportunity gaps have you identified for your prospects? 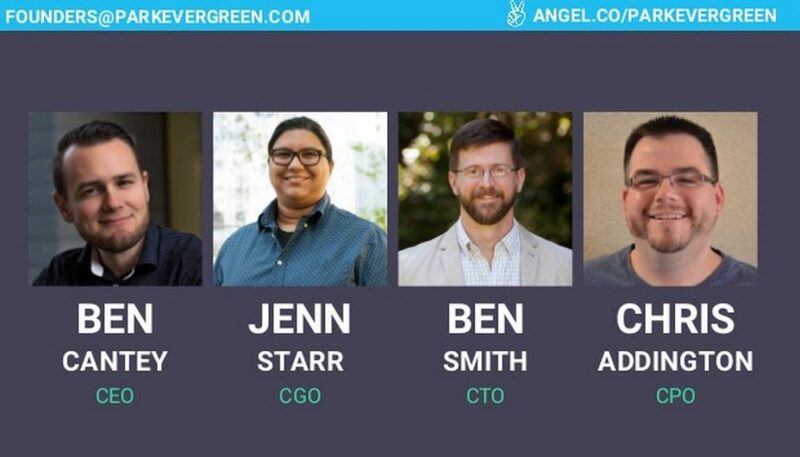 ⚡ What is the Best Slide Deck Structure? The basic structure of any sales presentation includes 4 key points: 1) the problem faced by your prospect 2) the dream solution (the results they’re after), 3) how your company helps them get what they want (the benefits and results you offer) and 4) reasons why the prospect should chose you over your competitors. 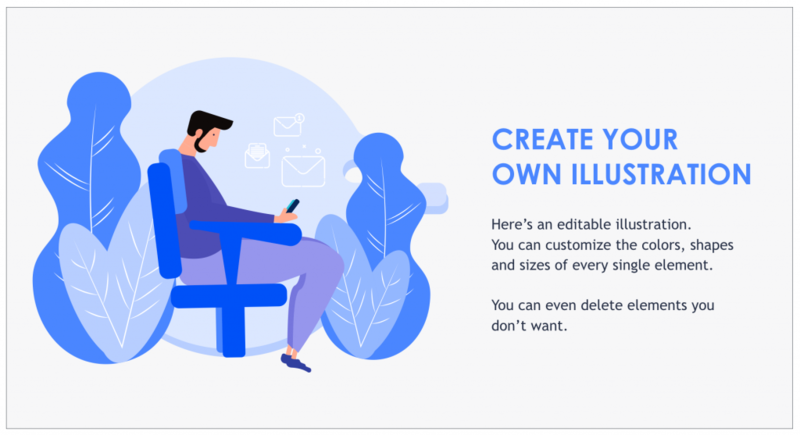 ⚡ How Can I Improve My Sales Presentation Design? If you’re starting from sub-zero (or want to educate yourself better than 80% of the people out there), check out this post. It breaks down 100+ simple, practical presentation tips to help you plan, design and deliver unforgettable presentations. 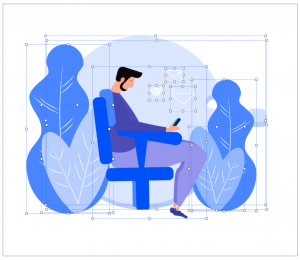 If you’re looking for practical design tips, head over to this guide where I list 21 simple slide design tips to help you make better decks fast. Want to craft a more creative deck? Check out this post. 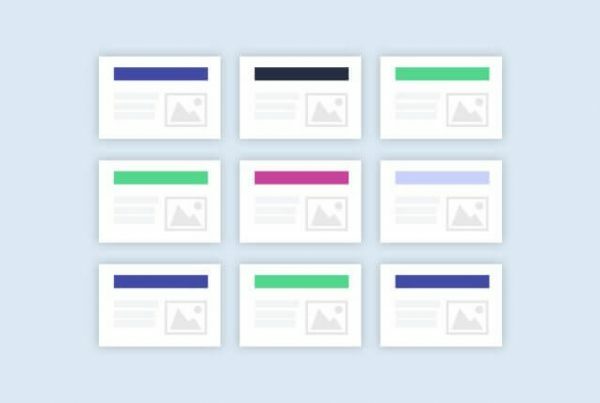 It includes actionable techniques to help you design creative presentations within minutes (with free templates, lessons and resources). ⚡ Where Can I Grab Business Images For My Presentation? ⚡ How Should I Open/Start My Presentation? Most audiences will give you only 30-60 seconds to convince them they want to listen to you. Today, I’m going to show you [ statement that benefits your audience ]. By the end of this presentation, you will [ result they’re interested in ]. Today, I’m going to show you how you can use conversion optimization to triple your sales in less than 6 months. ⚡ What Questions Should I Ask the Prospect? Can you help you understand how you measure success in regards with [topic]? Tell us about your business in one sentence? What delights your customers about your product? Does our offering make sense for your world? Could you see this applying to you? Can we agree on [proposed next steps after the meeting]? ⚡ How to End/Close a Sales Deck? The closing should amplify the message, wrap up the key takeaways of your presentation, and include a call to action. If you’re sending the file through email, include a slide with a call-to-action enticing them to contact you, and give them your contact info. ⚡ How Long Should My Presentation Last? “If a presentation that had 20 minute segments with short breaks in between, the people enjoyed the 20-minute chunked presentations more than a 60 minute presentation, learned more information immediately after, and retained more information a month later”. “See if you can build in some kind of change every 20 minutes. For maximum learning you want a break every 20 minutes, as opposed to just a change of topic….Instead of taking one long break, take several short ones”. Chunk 1) Understand your prospect’s business. Ask him questions. Get insights. Chunk 2) Introduce your product/service offerings. Which is long enough for your prospects to understand clearly how your product/service can help them. 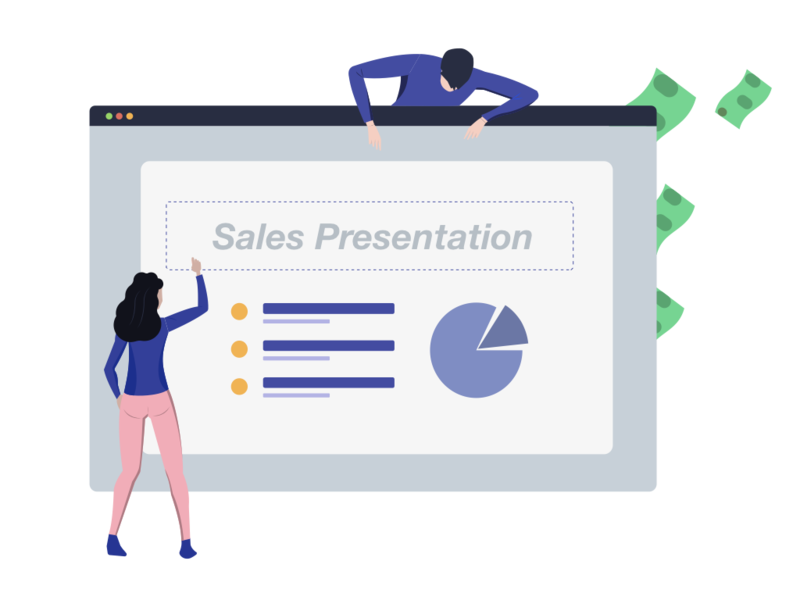 ⚡ Can You Show Me Some Solid Sales Presentation Examples? 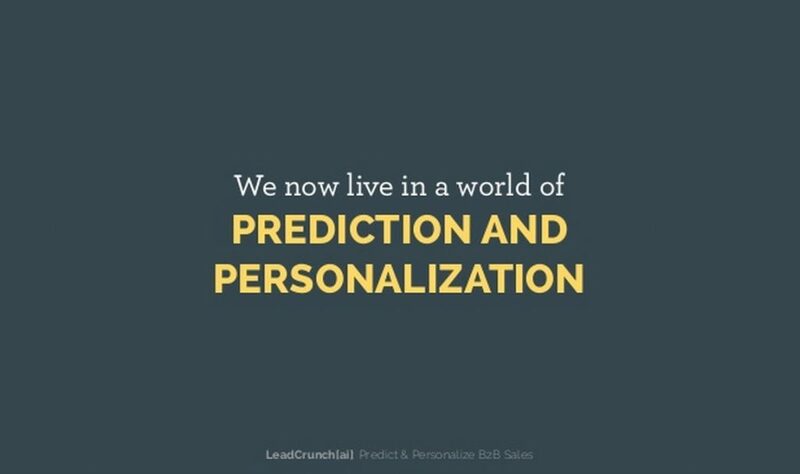 Check out this post where you’ll get 20+ real-world sales deck examples. ⚡ How Can I Improve My Current Sales Deck? First, incorporate the 7 components I’ve broken down in this guide, pin point your customer’s burning desires, offer deliverables that allow them to get the results they want, and you’ll be set to deliver a great sales deck that will help you generate more business. 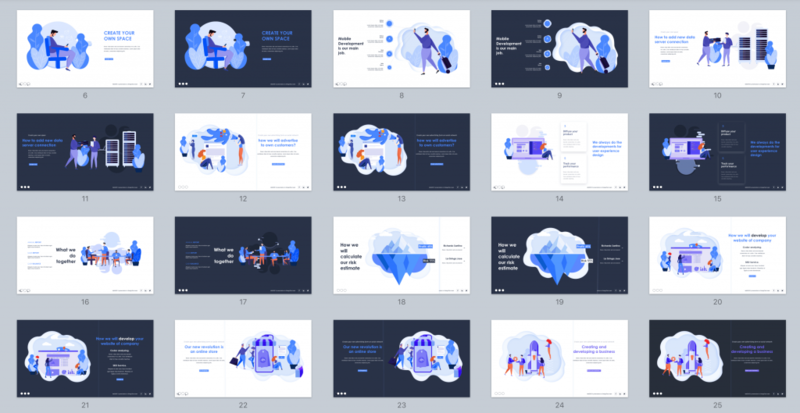 Then, equip yourself a professional, ready-to-use presentation template that’ll help you put together a great sales deck fast (and at the fraction of what a designer would cost you). See, you’re smart enough to know you could spend that time on more strategic, higher level activities that actually move the needle (like tweaking your value proposition, challenging your business strategy or fine tuning your pitch). Most templates include everything you need, from gorgeous, easy-to-edit slides and icons to charts and ready-made color themes. For instance, I’ve used the fully editable graphics of Massive X, one of my favorite templates, to illustrate this presentation guide. Use them to illustrate your sales presentation slides and get your point across more effectively.